A luxury yacht caught fire at a marina in the U.S. Virgin Islands and it was all caught on camera. 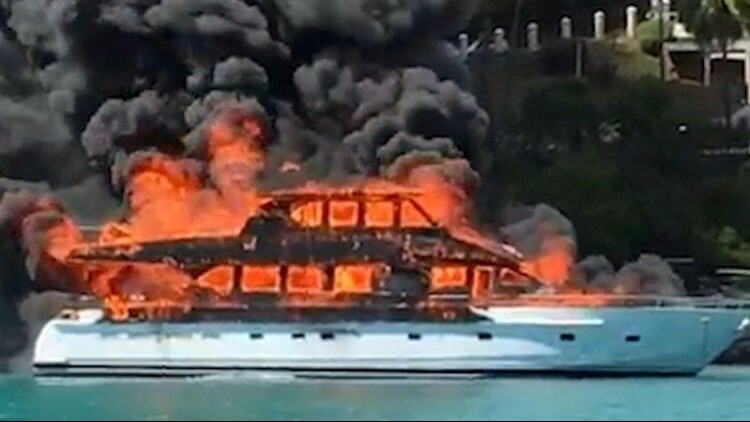 VIRGIN ISLANDS (CNN) - A luxury yacht caught fire at a marina in the U.S. Virgin Islands and it was all caught on camera. The U.S. Coast Guard and firefighters fought the blaze for hours before subduing it. No injuries were associated with the fire. The cause of the fire is still being investigated. Video courtesy of Paula Hodge via CNN VAN.